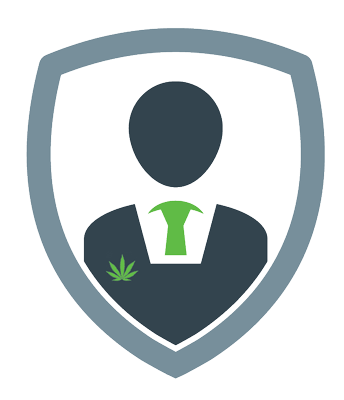 Green CulturED is the premier eLearning solutions provider in the cannabis industry and we show you, step-by-step, how to actually get stuff DONE right now. It’s a place where you can learn how about cannabis like a PRO, connect with industry experts, and get the strategies and eLearning solutions you need to get started or scale your current business to new heights. We’ve become one of the world’s most TRUSTED voices sharing the best of what works in the cannabis industry and to register for your training please click ‘Take This Course‘ below. Our mission is to IMPROVE the eLearning solutions that are available in the cannabis industry, but we want to create a change that goes beyond good intentions. Learn on-demand and access at any time, everything is video-based training along with other interactive learning activities. 80% or better is required on (the majority) our assessments to pass your training and you have unlimited attempts to pass. You’ll get a printable certificate suitable for framing or a digital badge to display on LinkedIn, websites, and email signature. The Best Damn Cannabis Industry Training...PERIOD. Our training is unique because they’re developed by actual cannabis industry leaders, our Subject Matter Experts actually know what's working...as a profession...every day and PROVEN to work. If you're new to the cannabis industry or already an experienced 'ROCKSTAR', our community is here to support you and help stay informed, connected and inspired to learn with like-minded pioneers. Our Subject Matter Experts (SME's) are respected authorities in their particular area of study in the cannabis industry and are ESSENTIAL for our Instructional Designers to develop high-quality training. Not Just Training... CERTIFICATION! We are accredited by Alaska Marijuana Control Board, are authorized by OSHA as Outreach Trainers and others, we're always creating new accredited trainings. "What's working now?" We offer flexible online training that is DESIGNED for the cannabis industry with a "best practice" approach and evidence-based research. No airplane required. Training is 100% online! Forget airfare, conference fees, hotel bills and time away from work…YOU decide when and where to start. Up-level your team with an easy-to-use training center, our state-of-the-art platform DELIVERS the best dang eLearning you'll find anywhere. Q: How will this training help me? If you're a business owner, this training is a great way to learn on-demand for yourself. It's also a great way to train members of your own team to ensure that they're up to speed on the latest trends and best practices. If you service the cannabis industry, this training is a tangible way to show that you understand and know the cannabis industry, which could help you attract and retain better, higher-paying clients. If you're a student, this training will set you apart from other applicants who merely have a business degree or no cannabis knowledge, it is specialized skills that employers today are desperately seeking. If you're an employee or cannabis industry professional, this training can make you more valuable to your company, which is the surest way to get that raise or promotion you likely already deserve (but don't have a tangible reason to request). Q: How valuable is this training? A: Our training itself is highly valuable if you need to set yourself apart from the competition. What's far more valuable than any badge or certificate, however, is the actual knowledge you're going to receive when you take this training and pass all the quizzes. You will learn what you need to know about the cannabis industry. I'll say that again: YOU WILL KNOW THE CANNABIS INDUSTRY. Q: Is it legal for me to take your training? A: It is 100% legal, we are all protected by the First Amendment (Freedom of Speech) so regardless of location or age, it is LEGAL to learn about the cannabis industry and we have students enrolling from over 50+ countries. Taking our training, really is the same as shopping on Amazon.com, eBay.com, or any place where you can legally purchase cannabis-related books, DVD’s, magazines or guides...it is 100% legal to learn about the cannabis industry. Q: How difficult is the quiz? A: You'll find that the test is "satisfyingly difficult." By that I mean, it's difficult enough that you need to actually know the materials, but it isn't tricky or difficult just for the sake of being difficult. That said, to preserve the exclusivity and importance of this designation, we have made the tests challenging and the questions do pertain to our proprietary methodologies, so you shouldn't expect to be able to pass the test just because you have taken other cannabis training in the past. This training is different, and the exams will reflect those differences. Q: Will you help me find a job after my training? A: Yes! We provide access to our Jobs Board, where employers post job openings and you can browse through available positions in the cannabis industry. This industry is BOOMING around the world so there are numerous career opportunities opening up on our Jobs Board every day. But, we always recommend that you check locally too since the industry is rapidly growing, you never know what opportunities will show up in your backyard. Q: Is Closed-Captioning for hearing-impaired and/or Screen Readers for visually-impaired available? A: Yes, that's one of the biggest challenges that learners face today is accessibility in their training. We are sensitive to the needs of our learners, we provide Closed-Captioning (sub-titles) for hearing-impaired and/or Screen Readers for visually-impaired learners. Visually-impaired learners can use a Screen Reader through the Job Access With Speech (JAWS) in Microsoft Internet Explorer and we support Visual Desktop Access (NDVA) for Mozilla Firefox. Q: Why are cannabis experts priceless? A: Being a master in the cannabis industry will create meaningful relationships with your customers and develop a relationship for them to talk to about your business is one of the team's most valuable assets. A successfully trained cannabis expert can pay for itself over time and these skills can make you truly irreplaceable. Q: Am I guaranteed to get a certificate or badge? A: No. A certificate of completion or digital badge that can simply be purchased isn't worth the paper it's printed on. That's why our courses are challenging. If we're going to allow you to display a Green CulturED certificate or badge, you better believe you're going to have to earn it. Q: How long do I have to complete the training and take the quiz once I am enrolled? A: You can move at your own pace! We understand that life happens and that just because you enroll today that doesn't mean you'll be able to finish (or even start) the training this week. And that's ok! Take as long as you like. We aren't going anywhere, and neither is this training. Q: What if I fail? Am I allowed to retake the quiz? A: Yes, you make retake the test unlimited number of times, after each failed attempt you will receive immediate feedback why you got the question incorrect and will be required to retake quiz again. Q: Are scholarships or financial aid available? A: At this time no scholarships or financial aid is available. Fortunately, we have priced our training so that they are affordable to all, especially compared to similar education that is available. Feel free to contact us if you do have any questions. Q: Do you offer business training for my team? A: Yes, we do! We provide a custom eLearning solution, so your business can easily train its employees in a way that will allow you to train your whole team at an affordable price, it's called Green CulturED Headquarters (we call it GC HQ for short). It provides all our cannabis topics, occupational safety and health, standard operating procedures (SOP's), employee onboarding and management operations, and if we don't have the training you need then we'll create it for your business via Instructional Design. Click here to learn more. The industry changes constantly, what works also changes constantly. It’s CRITICAL that training is nimble and updated at the speed of the cannabis industry. We respond to those changes and push out updates in real-time (often before our competitors even realize a change has occurred). In the competitive cannabis job market, providing a prospective employer with proof of training shows that you have taken the INITIATIVE, this demonstrates to employers you will require less training. The cannabis industry is changing constantly, so it can be DIFFICULT to keep up to date with, much less to train employees on. Training increases your profitability ($$$) and reduces risk. We believe that cannabis knowledge should be available to everyone... that’s why our training is available for ANYONE to enroll at any time to learn everything about the cannabis industry. We actually do this stuff! Yes, you can find other trainings and certifications that cover similar topics, but a Green CulturED is UNIQUE because it's built and taught by real cannabis experts who actually work in the industry. In other words, we aren't journalists or "researchers." We're in-the-trenches DOERS who despise untested theory and believe that the best way to learn something is to roll up your sleeves and get your hands a little dirty. If that sounds appealing, then welcome! You've found your home. Green CulturED's sole focus is the cannabis industry, and that’s why our courses are flat out better than the competition. 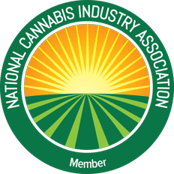 Learn what’s actually WORKING now, and also learn to see the big picture of how your role affects works within the cannabis industry. Well, it's our online "Calendar and Checklist" course (module from our certification), but we will also send surprises about cannabis.